Glucosamine supplement in tasty syrup form specifically for your dog or cat. Your pet is particularly active, older or suffering from osteoarthritis? Chondroitin is another natural substance found in your dog's cartilage and, when paired with glucosamine, has an even more beneficial effect on your dog's joints. MSM (methylsulphynolmethane) is a natural sulphur compound also thought to help improve joint flexibility and reduce pain and inflammation. 1x per day administered in feed or water. It can take a few weeks to see the beneficial effect of a joint supplement. 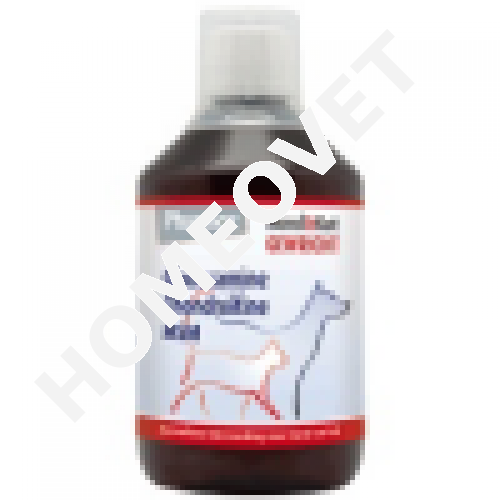 PrimeVal Puppy Gelatinaat - development of healthy bones, cartilage, ligaments and tendons.